Now, a lot of animal rights activists are up in arms about these whales being captured, which was my main concern when I saw the headline and scanned the first few paragraphs of the article written by National Geographic last week. 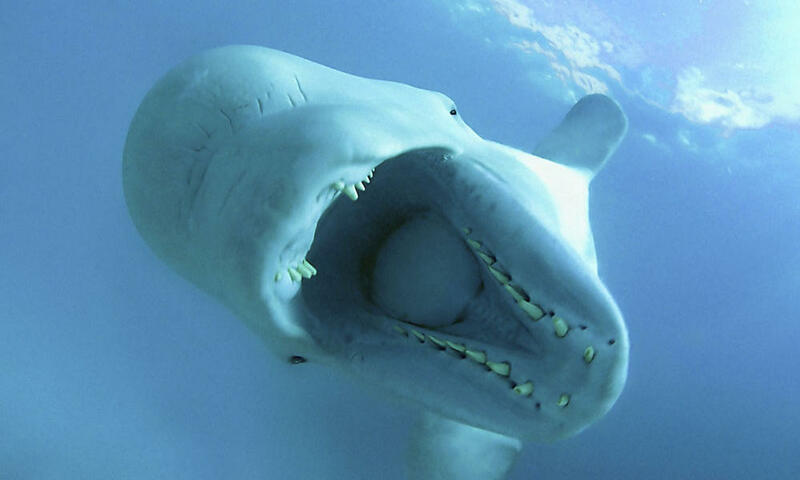 However, I’ve actually learned that these Russian belugas have already been caught. Now they’re just sitting in holding tanks waiting for a decision to be made. 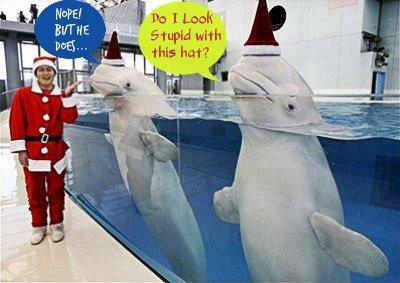 Humans have traumatized these whales, and now they are just sitting in boxes. Where’s the uproar about that? In the very long National Geographic article Ric O’Berry of the Dolphin Project gave author Kenneth Brower a fantastic quote. Ric O’Berry used to be a dolphin trainer and actually worked trapping dolphins for many different marine parks. he worked with the bottle nose dolphin who played Flipper. The most famous collection sight for dolphins is Taiji, Japan. 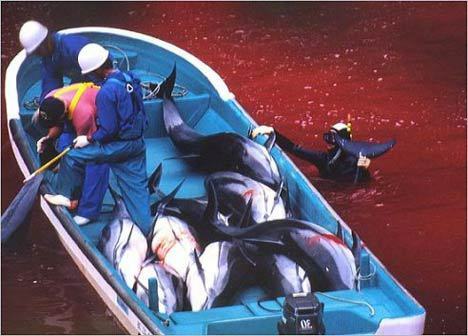 Warning: Do not look up Taiji Bay if you are sensitive to extremely gory images. They will haunt you. O’Berry was arrested in Bimini after attempting to free one of the dolphins he had been working with, after another of the Flipper dolphins died in his arms. He became an advocate for marine mammals and participated in the Academy Award winning documentary The Cove about the mass slaughter at Taiji Bay. 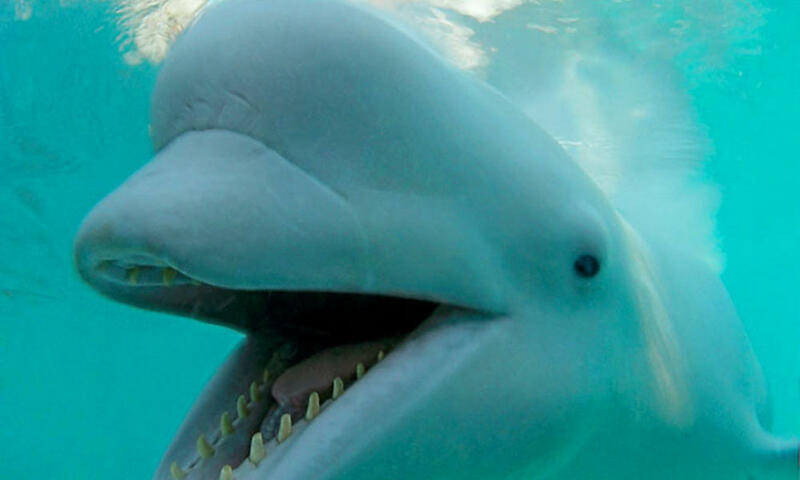 Beluga whales were given the name sea canaries by sailors for because of their wide array of clicks and squeaks they use to communicate. They whistle, raspberry, ribbit, squawk and chirp. These sounds are not heard as often in captivity as they are in the wild. When a large pod of beluga’s passes by in the wild a cacophony of trills and parrot-like noises. Putting a large animal into a concrete pool when it is used to traveling over 16 miles a day is inhumane. I may not currently be working at a zoo, but I will always be a zookeeper. I believe that there are types of animals that can be kept humanely in captivity, but I believe that the majority of zoos do not go above and beyond the standards set out by the AZA, as I believe they should. Standards are the minimum, we should always strive to go above the minimum. Cetaceans(whales and dolphins) have significantly shorter life spans in captivity, many will actually commit suicide. 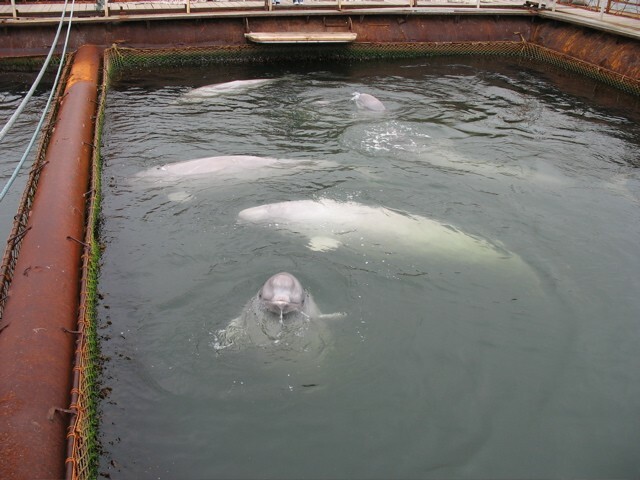 Of the 71 captive belugas that have been in the parks hoping to attain more Russian belugas, 34 have died. Should they really be allowed to get more?